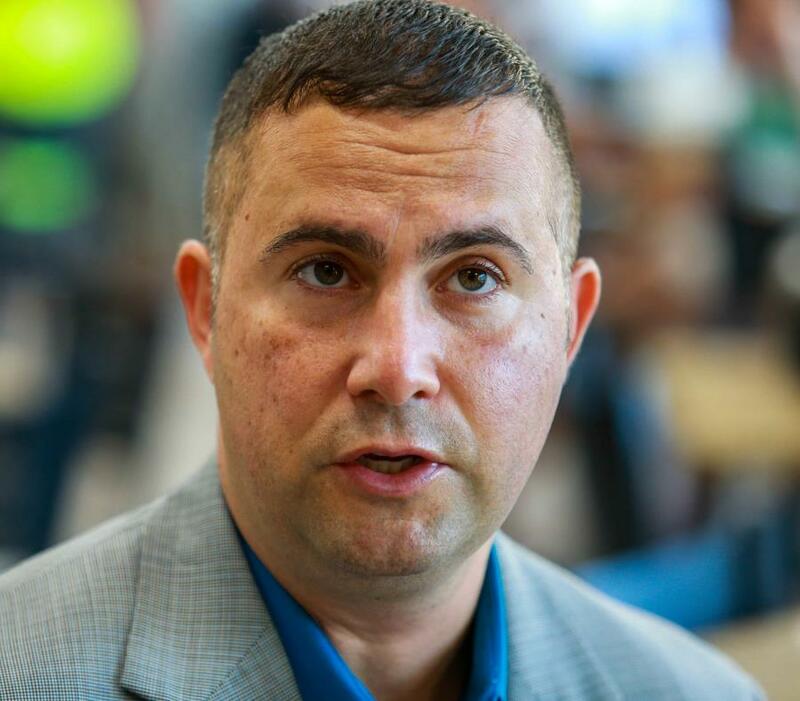 Washington – Although it is very unlikely that Darren Soto's bill will become law, experts have warned about the immense challenges that both the United States and Puerto Rico would face to harmonize a transition from territory to federal state in just three months, as proposed by the Florida Democratic representative. Soto’s bill, a Puerto Rican elected by Florida’s 9th district, has not only surprised by ruling out any new referendum – basically because the federal government has never consulted Puerto Ricans about status alternatives and there have been doubts about recent referendums –, but for pushing for the island’s automatically become a state, only 90 days after the measure becomes law. Moving from territory to state –51 or 52, as Washington D.C. is already in line – requires tax adjustments that the United States and Puerto Rican governments have to make, with impacts on their budgets –in dozens of programs –, corporations, individuals and investors. In Washington D.C., where they already vote for the president and pay federal taxes, transitioning to statehood would require reconciling far fewer federal laws and programs. But, in the case of Puerto Rico, Congress will need to decide not only what to do with the size of the House of Representatives – which now has 435 members but can be changed by law – but also when Puerto would be incorporated into the Unites States Electoral College, whose structure for 2020 is defined by the 2010 Census. Puerto Rico, with 3.2 million inhabitants, would have four representatives in the House, and two senators. Following the 2010 Census, when the Puerto Rican population was estimated at 3.8 million people, it would have had five representatives. Experts point out that such an extraordinarily fast admission process generates, in turn, uncertainty about PROMESA, which many see as an obstacle before the possibility of a change in status. Constitutionalist Carlos Ramos González, professor at the Interamerican University, said that history shows the need of a transition period. “There is no possibility, in 2019, to pass a bill declares Puerto Rico as a state ipso facto,” he said. Unites States companies benefit for doing business as controlled foreign corporations (CFCs) on the island will end – which allows them to maintain a lower tax rate while keeping their profits outside the United States–. It also means changes in the rules for those who have established export companies in Puerto Rico through Law 20 or those that have moved to the island to avoid federal taxes and benefit from Law 22, said Rivera Robles. For Carlos Colón de Armas, a Finance Professor at the University of Puerto Rico (UPR), the transition process should not be so complex. “Status is a human rights issue. The way we frame (the debate) is usually economic and any economic issue can be postponed. If we frame it as a human right, no one can say that it should be postponed,” said Colón de Armas yesterday, after at a panel he shared with other pro-statehood speakers at Georgetown University. For the National Puerto Rican Agenda (NPRA) – which brings together more than 30 diaspora groups – Democrat Soto’s bill, supported by Governor Ricardo Rosselló Nevares and co-sponsored by Resident Commissioner Jenniffer González, is untimely, invalid, misguided and anti-democratic. For the NPRA, if bill 1965 is approved, it would impose statehood for Puerto Rico in a 90-day period which is unreal and unreasonable. After criticisms over that point, Soto said that the transition period is subject to revision. But, if there is one thing Soto has been consistent about, despite the historic low turnout in the 2017 local referendum (23 percent), amid the boycott of opposition parties and without the Unites States Department of Justice validation, is that that referendum –where statehood obtained 97 percent of the votes – should be considered sufficient. Soto said this is a matter of “democracy and equality.” In his blueprint for Puerto Rico, which he updated days before introducing his bill, Soto advocates to reduce public debt, review PROMESA, full access to Medicaid and other programs, but did not include statehood. Ramos González said that it seems clear that (sponsors) do not intend Puerto Rico to be admitted as a state within 90 days, but rather to generate a political debate. Ramos González stressed "the extraordinary legal uncertainty" that the bill -if it had any chance of approval- would create on PROMESA and the restructuring of Puerto Rico´s general obligations, for which a state cannot declare bankruptcy. The government of Puerto Rico has a general obligation debt of about $ 17 billion. The rest of the debt, without PROMESA, can be restructured through Chapter 9 of the Federal Bankruptcy Code, from which the island was excluded in 1984. “It causes so much confusion that it is not a serious bill,” said Ramos González. Professor Ramos González indicated that, in theory, the “Commonwealth” Constitution could remain in force – as the bill recognizes – in a transition process, but it may require minor changes that would be subject to counting on a pro-statehood majority loyal to the admission proposal, with two-thirds of the seats in the Legislature, like it is today. Regarding an admission without the federal government ever consulting Puerto Rico, Ramos González said the argument is based on the plenary powers of Congress over the territories. He does not think there could be a stronger claim from a voter, for not being consulted by the federal government, the day after statehood is imposed. Although he warned that constitutionally it could be a gray area, attorney Gregorio Igartúa Jr. thinks that in order to fulfill the right to self-determination, Congress would have to recognize past referendums held on the island. Soto's bill directly alludes to the 2017 plebiscite, where he was an observer. When Resident Commissioner González introduced her first statehood bill for Puerto Rico, in January 2017, she proposed a transition process that would end in January 2025. In her second bill, in June 2018, she suggested a different path, first calling for the incorporation of Puerto Rico as a territory and then creating a Congressional Task Force to examine changes required in laws to make Puerto Rico the 51st state. Last November, Commissioner González and Governor Rosselló Nevares welcomed Republican Rob Bishop’s (Utah) recommendation to reconvene with the Unites States Department of Justice in search of a local "statehood yes-or-no" referendum, whose ballot – based on a 2014 federal law – would be certified by the federal attorney general. Lawyer Gregorio Igartúa Sr. insisted that the real short-term alternative for the pro-statehood movement is to turn Puerto Rico into an incorporated territory. “The best step is not to ask for statehood,” said Igartúa, who, for decades, has worked with lawsuits demanding that Puerto Ricans can vote for Congress members and the US president. A few weeks ago, the US House passed language – promoted by the Virgin Islands delegate Democrat Stacey Plaskett –promoting the creation of a Congressional Task Force to study the changes that must be adopted to guarantee territories –such as Puerto Rico- participation in federal elections. That language is included in an electoral reform bill, which is not expected to advance in the Senate, but which also brought a support for statehood for Washington D.C. The formal pro-statehood bill for Washington D.C. will go to vote sometime this year, as speaker Nancy Pelosi promised. Last October, Donald Trump’s administration told the Inter-American Commission on Human Rights that the 2012 and 2017 plebiscites did not reflect a consensus. Trump rejected statehood for the island. In the Senate, the chairwoman of the Energy and Natural Resources Committee, Republican Lisa Murkowski (Alaska), also said there was no consensus in the 2012 and 2017 plebiscites. Meanwhile, Democrat Raúl Grijalva, chairman of the House Committee on Natural Resources, does not have the status debate among his priorities and, although he thinks support for statehood is already majority on the island, he warned that statehood cannot move forward based on the 2017 plebiscite, due to its low voter turnout. At federal level, Grijalva – who can give Soto’s bill a hearing – indicated that any referendum must include all status alternatives.